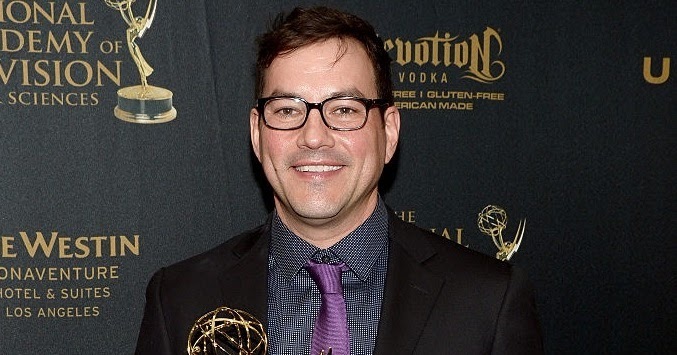 We Love Soaps: Tyler Christopher on Leaving 'General Hospital': "I Just Couldn't Make It Work"
Tyler Christopher on Leaving 'General Hospital': "I Just Couldn't Make It Work"
The mystery is solved. Earlier this year, after General Hospital's Nikolas Cassadine plunged over a balcony at his family home on Spoon Island, fans waited to have the fall explained or see Nikolas reappear. Actor Tyler Christopher never did, and now he’s dishing on why not. As with so much that goes on in daytime these days Christopher left the show for reasons purely economical, he told ABC Soaps In Depth in its latest issue. Nick Stabile briefly replaced Christopher and now Nikolas is presumed dead for good. "We couldn’t come to a deal that made sense for me and my family. As we all know, the economics of daytime have changed. As a result of that, I just couldn’t make it work," the actor said. If it’s any consolation to his legion of fans—whom he calls “GH Nation”— Christopher too strongly wishes things could have turned out different. He said playing Nikolas both gave him a career and brought into his life relationships he cherishes. Christopher, for his part, made an indelible mark on the hearts of fans. We could see the brooding prince in his soulful eyes and the fragile little boy in his innocent smile. GH stars have lately felt the pull of Nashville, the home of country music. Ex-GH stars Steve Burton (Jason Morgan), Jonathan Jackson (Lucky Spencer), and Scott Reeves (Steve Webber) live there. Christopher and his family will soon join them. Perhaps he’ll join them in their band, Port Chuck, of which Brandon Barash (Johnny Zacchara) is also a member. Since leaving GH, Christopher has starred in two movies, The New Wife and Pretty Broken. The actor garnered an Emmy for Outstanding Lead Actor in a Drama Series earlier this year. While he left for brief periods, Christopher called GH home for 20 years. He married Brienne Pedigo in 2008. They have two children—a son, Greysun, and a daughter, Boheme. Of the memories of his time on GH, Christopher simply says, “They’re so special,” especially since he watched so many of his co-star friends grow up, get married, have children, and more. Remember GH and Christopher fans, this is daytime. We may have to accept Christopher’s absence for now, but it's entirely possible he comes back one day. After all, part of the magic of daytime is that anything is possible.